Now you can carry your Deck in CEO style with Yu-Gi-Oh! TRADING CARD GAME Kaiba’s Majestic Collection Card Case! Featuring Seto Kaiba along with artwork from Burst Stream of Destruction and Majesty with Eyes of Blue, this Card Case is bound to strike envy in your rivals as you set it down on the table. With enough space to fit a Main Deck, Extra Deck, and Side Deck, Yu-Gi-Oh! 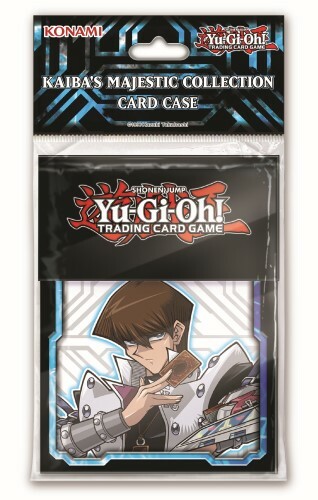 TRADING CARD GAME Kaiba’s Majestic Collection Card Case is sturdy enough to last you while you rise through the ranks! Each Card Case also includes a Deck Divider.